From: LP Hong, Wat Petburi Surin province. 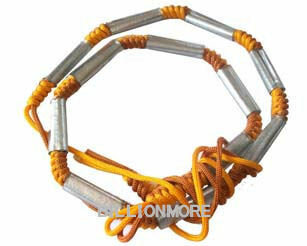 Material: Takruts were made from lead and the ropes were made from holy thread that LP Hong awfullly blessed. Purpose for making: LP Hong donated the money for developing and restoring the temple. Holy Ceremony: LP Hong created and awfully blessed this powerful amulet with special magic for along time by himself. Powerful: This powerful amulet has the supernatural power about great protection the bad things, dangers and black magics. 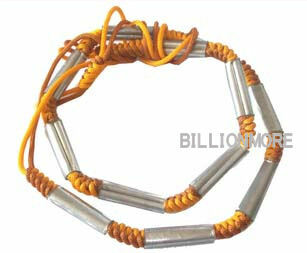 In addition, this powerful amulet has the superb power about invulnerable. Present: LP Hong inscribed the holy characters on the Takruts by his hand every pieces that making the amulet to be very sacred. LP was Phra tudong with solitude so LP wasn’t staying at the same place so farewell to the relatives for Tudong. LP likes planting forest, ponds, building bridges and donating to the foundation as usual without LP’s own. LP sacrifices to everything.